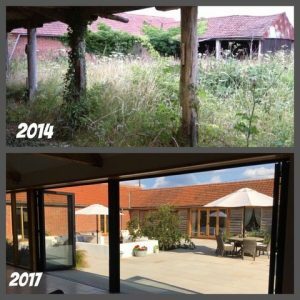 Mr & Mrs S purchased a derelict barn in January 2014, they were renovating the barn to be their family home. The work was project managed by Peter Southgate of U2 Homes. 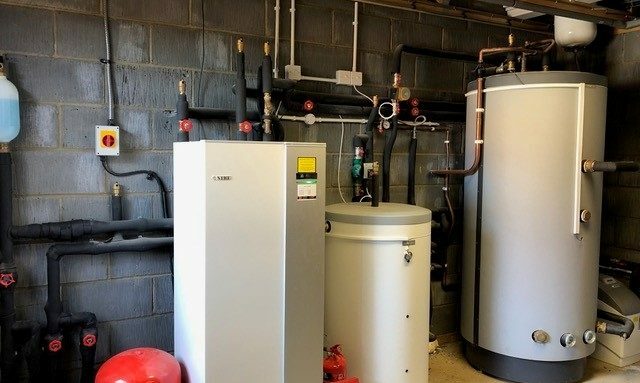 There was plenty of land available to accommodate the ground collector required to install a ground source heat pump, the property plans were discussed and advice was given by R A Brown with a heat pump design created by our technical designer providing the appropriate solution for the property. 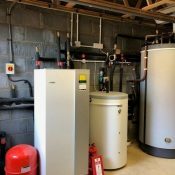 The heat pump installed was a NIBE F1145 15kW ground source heat pump along with underfloor heating throughout the property. 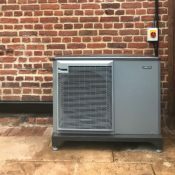 The NIBE heat pumps includes weather compensation which is a discreet sensor ensuring the temperature inside remains constant at the chosen setting, the heat pump does all the work to adapt how much heat is required to maintain the constant temperature. The system is able to be designed to support personal preferences and lifestyle and therefore, Mr & Mrs S decided to have separate room thermostats in bedrooms to the main living area to have different temperature control in these areas. 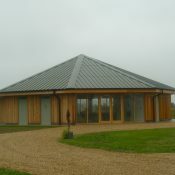 Mr & Mrs S said they were really pleased Holly Barn was recognised by winning the Broadland District Council Design and Enhancement Awards 2017. 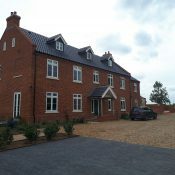 These awards recognise the achievements of those who have made the extra effort to maintain or enhance the area’s beauty and character when developing properties. Here are some of the latest awards we have won. Have our renewable energy newsletter delivered straight to your inbox.